The City Bar Justice Center’s free Legal Hotline offers legal information, advice, referrals, and in some instances, brief services, to low-income New Yorkers. 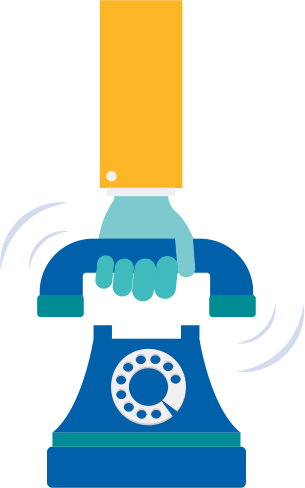 The Legal Hotline is staffed by attorneys who assist low-income callers on a range of civil legal issues, including matrimonial and family law, housing law, domestic violence, bankruptcy, and debt collection and benefits. Our staff includes bilingual attorneys who speak English and Spanish, and we can accept calls in any language through interpreting services. Hours: Monday through Thursday from 9:00 a.m. to 5:00 p.m.
You can also apply online for assistance from the Legal Hotline. Click the link below and complete the application, and we will contact you within two business days. In addition, if you need assistance with a consumer issue, such as debt collection, frozen bank accounts, applying for bankruptcy, or other consumer-related issues, you can submit an online application to the NYC Consumer Help Finder, a service of five NYC legal services providers, including the City Bar Justice Center. Your information will be routed to one of the five legal services providers which will get back to you, saving you the time of calling multiple providers.